So how did Louis CK get to be so famous of comedian after years of utter failure? Louis CK did three things, first he kept forming his craft of telling jokes or storytelling to engage his target audience. For years he has been writing material and some of it clicked with people and some of it just sucked horribly. Then a few things happened, George Carlin passed away and Dane Cook career took a nosedive fast. 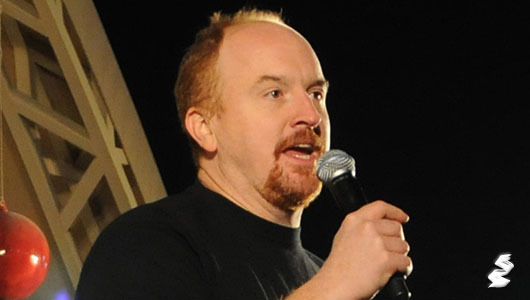 That left a spot open for someone to come into the comedian standup role, and Louis CK seems to fit the bill. The second part is he talk about his life and spoke about the things that he really felt deep down inside but things that normal people might be scared to say to general public. The third part is every year he creates new material for his comedy shows, this is the hardest part. Most motivational speakers or so called marketers cannot come up with new methods, they get stuck on the same methods they used in the past. So when you go see a comedian or a motivational person speak, you say “hey I heard that before,” and everything they say from that point forward turns to garbage. Louis CK found a demand with his target audience and filled the supply to create the material to connect him to his audience. This is why he can charge only $5 bucks for a HBO special and make $1,000,000 dollars into his PayPal account, because he created a following with his constantly new material. If you read one marketers book on how to build a business, brand or make money online it always comes back to their original logic, they don’t really seem to change. Where change is inevitable if you want to survive, change has to be constant, since the general public is moving faster and attention spans are shorter.